Dr Hazel Marsh is a senior lecturer in the School of Politics, Philosophy, Language and Communication Studies at the University of East Anglia. She has researched, and published on, popular music and the Mexican student movement, Venezuelan cultural policy in the Chávez period, popular music and Chavismo, resistance music in Oaxaca, Mexico, internal displacement in Colombia, and representations of British Gypsies. 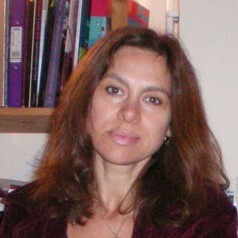 Hazel is the author of Hugo Chávez, Alí Primera and Venezuela: The Politics of Music in Latin America (London: Palgrave Macmillan, 2016). She is on the executive committee of the Advisory Council for the Education of Romany and other Travellers (ACERT), and is an associated member of the European Academic Network on Romani Studies. She is also a member of the International Association for the Study of Popular Music and the Society for Latin American Studies.